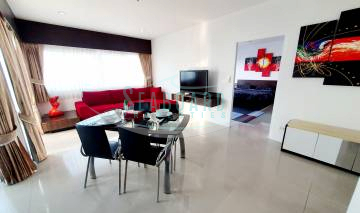 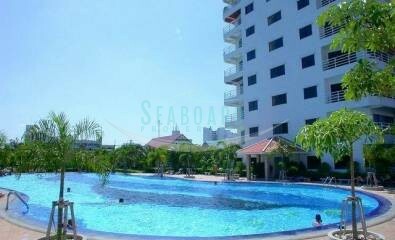 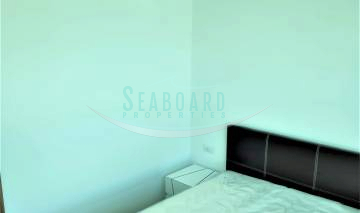 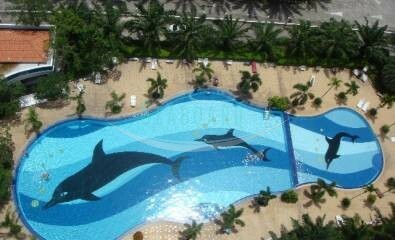 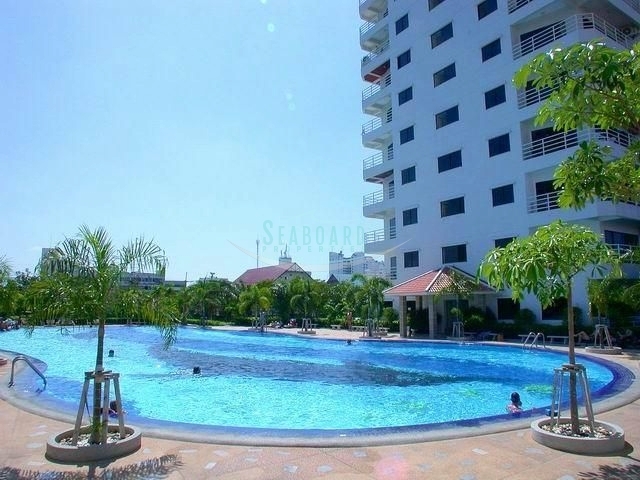 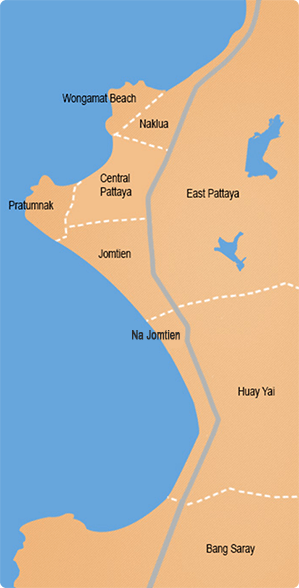 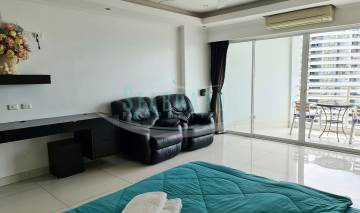 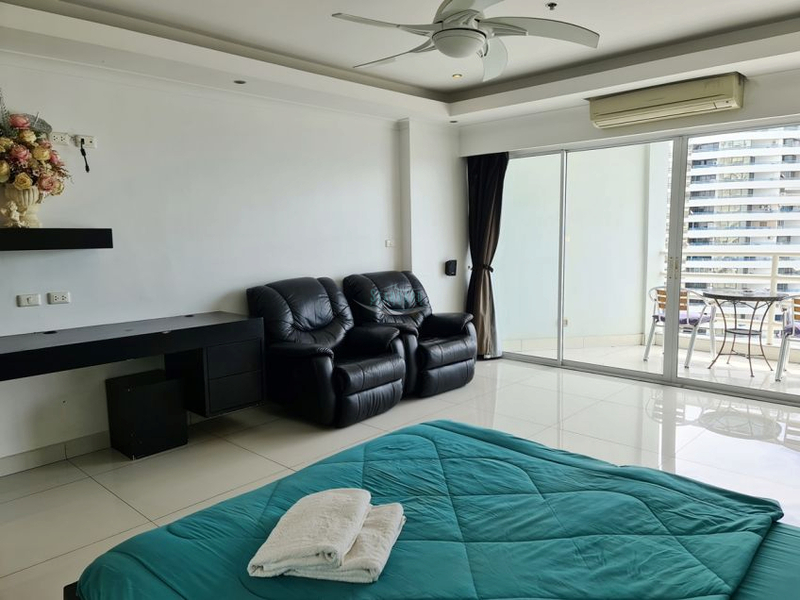 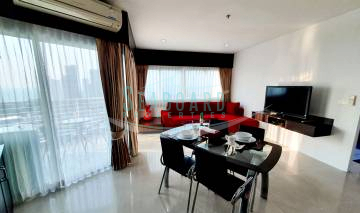 This studio unit is situated on the 12th floor and is Jomtien facing, offering lovely views out to the ocean. 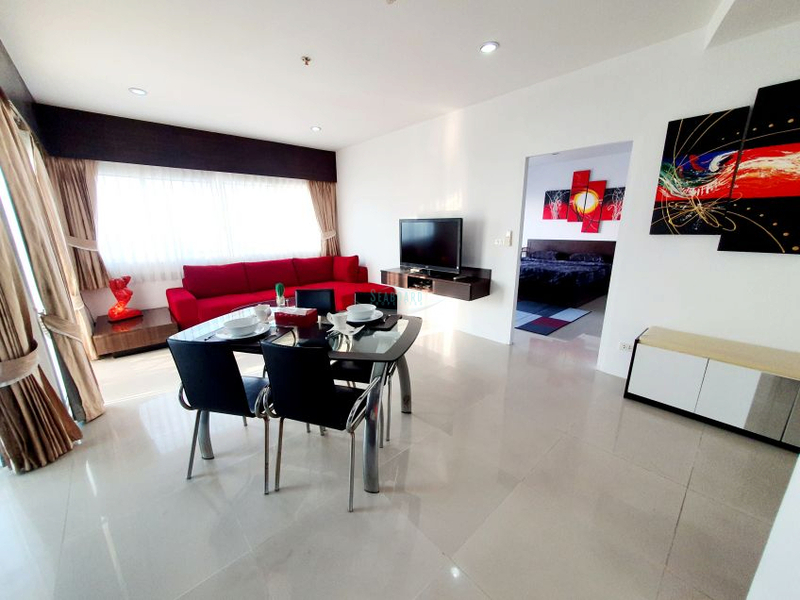 It is available for rent fully furnished and comes with Euro kitchenette, A/C unit, Cable TV, and WIFI internet at additional charge. 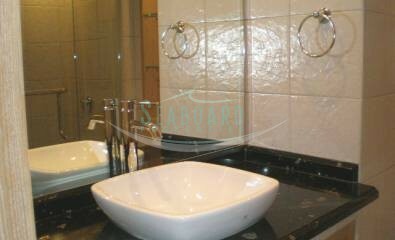 The building has 24 hour security, keycard access, large communal swimming, and several businesses on the ground floor.